The M1 Garand was designed by John Garand in the early 1930's. Its use in World War II was crucial to the success of the American Military. The combined accuracy and power allowed it to be extremely useful on the battlefield. However, the main benefit of the M1 Garand was its refusal to break down. While the German counterparts would jam or malfunction in bad conditions, the M1 Garand was always reliable. For this reason, 5.5 million were produced and used in World War II. This is not to say, however, that the gun is perfect. It was not possibly to reload the gun until all shots in the clip had been fired, causing some soldiers to run out of ammo at inopportune times. Also, when the gun reloaded, the clip made a distinctive ping sound that alerted nearby enemies that the soldier was reloading. Despite its flaws, the M1 Garand was a significant force in destroying the Germans in World War II. General George S Patton claimed the M1 Garand to be "the greatest single battle implement ever devised by man"
Designed in the late 1890's, the Colt M1911 soon became one of the most iconic handguns of the American military. While it does not hold any large advantage over the German equivalent P08 Luger, it is widely regarded as an extremely reliable and effective handgun. 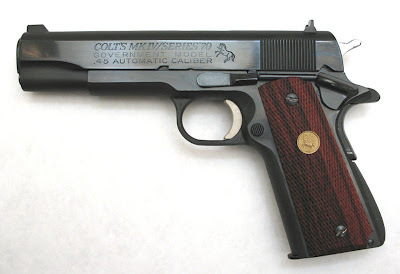 The general design of the Colt M1911 is so popular that it is still in use today. The M1 Thompson is one of the most iconic guns of World War II. It was used very effectively to fight the Germans off at close ranges, however it was ineffective at longer ranges. The M1 Thompson was used in the US military until 1971, and is notably famous for being the weapon of choice of many gangsters. 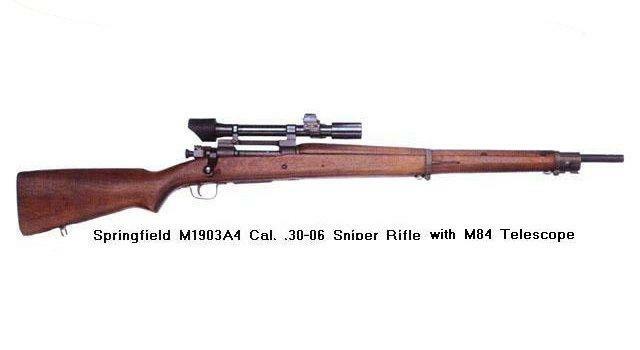 The Springfield M1903 is most notable because of its use as a sniper rifle. With a scope attached the weapon became an incredible force to weaken with, due to its accuracy and power. The M4 Sherman was the main tank of the US army during World War II. 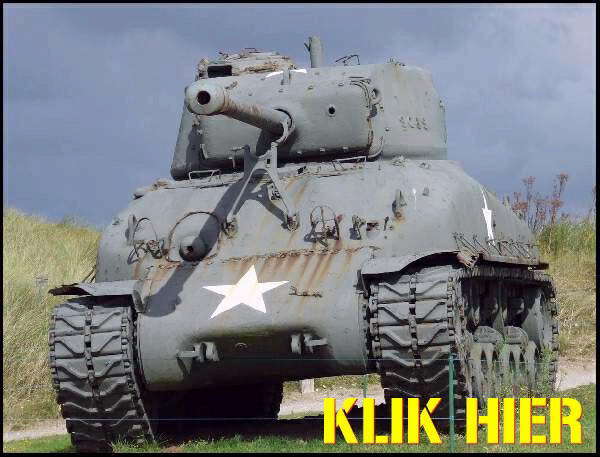 They were medium armor tanks, making them moderately fast and very effective during World War II. However, the Sherman could not hold up to the Panzer tanks. The Panzer outranged, out-firepowered, and had better armor than the Sherman. The only benefit of the Sherman was its increased mobility. The Grumman F4F Wildcat fought predominately in the pacific theater, against the Japanese. While they were not faster or better planes than the Japanes's counterpart, the zero, the tough construction as well as the skill and tactics of the pilots involved allowed for the Wildcat to hold its own in many major battles. It is interesting to note that while the Germans relied on pure technology to code their messages, which ultimately failed, the Americans used Navajo Indians, who spoke a unique language which is almost impossible to translate without prior knowledge. The Germans relied on enigma, a machine whose messages could only be interrupted by another enigma machine. We ended up capturing one of these machines, making the Germans code breakable. However throughout the war, the Germans were never able to break the Navajo language that allowed us to get our communications safely transmitted. The weaponry and technology developed and used for World War II allowed for warfare that did not include the dastardly trench warfare of World War I. Increased mobility, and reliability allowed for better functioning weapons. Light,easy to carry semi-automatic rifles, such as the M1 Garand, allowed for faster reloading time with improved accuracy and firepower. The sub-machine gun M1 Thompson became one of the most used and most effective weapons of the war . The M4 Sherman, while in many category's out done by the German Panzer, was quick and was used very effectively. While earlier American planes were not up to par of the Japanese Zero's, superior tactics and piloting allowed for the Wildcat to hold off the Japanese till better and more effective planes were introduced. The increased mobility of World War II stopped the use of trench warfare, which inspired a whole new genre of weapons. "World War 2 Weapons." Military Factory - Military Weapons: Cataloging Aircraft, Tanks, Vehicles, Artillery, Ships and Guns through History. Web. 28 May 2010. <http://www.militaryfactory.com/worldwar2/weapons.asp>. "The RPDM Presents: Small Arms." Web. 28 May 2010. <http://www.angelfire.com/ny/PimpDaddyMac/smallarms.html>. World War 2. Web. 28 May 2010. <http://www.world-war-2.info/weapons/>. World War 2 Planes - The Advent of Modern Aviation. Web. 28 May 2010. <http://www.world-war-2-planes.com/>.